Today you’ll depart for Beijing. 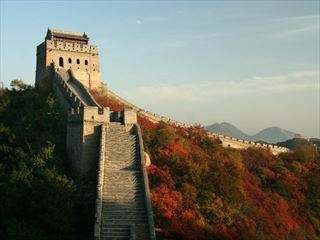 Arrive in Beijing where you’ll be met and transferred to the hotel – the rest of the day is at your leisure. In the evening you’ll meet with your tour guide and travel group. 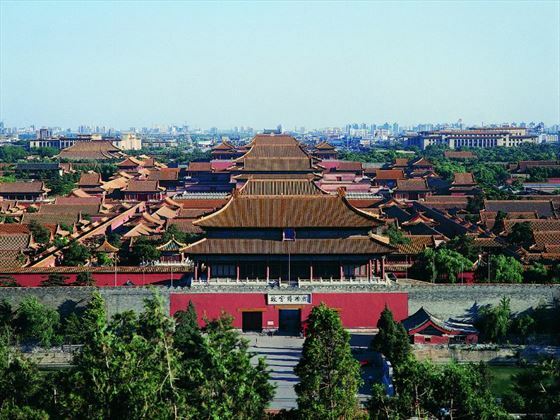 You’ll begin your third day with a tour of Tiananmen Square followed by a visit to the World Heritage-listed Forbidden City, the largest palace complex in the world. Afterwards you’ll take a rickshaw and enjoy a guided tour through the narrow streets, or hutongs, of Old Beijing. Finally you’ll enjoy a traditional Peking duck dinner. 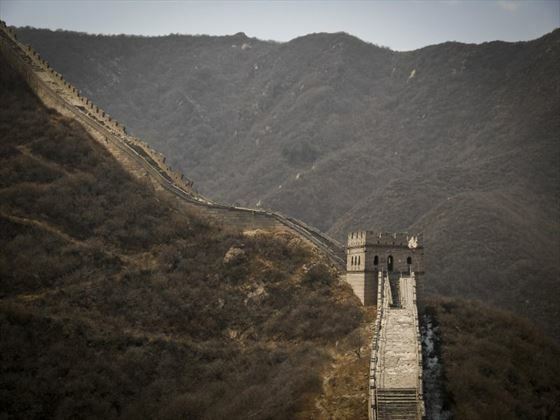 Today you’ll journey out to a section of China’s iconic Great Wall. Here you’ll take a cable car and enjoy wonderful views of the Wall and the surrounding area. You’ll then get the chance to actually walk along the wall. 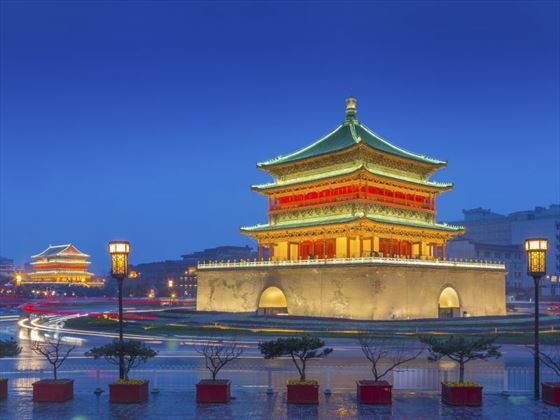 You’ll then return to Beijing where you will have the evening free where you can choose to do whatever you like – attend a Peking opera, watch a thrilling kung fu show or explore the Silk Alley Market. Start day five with a tour of the Temple of Heaven. Afterwards you’ll transfer to the airport and catch a flight to Yichang. 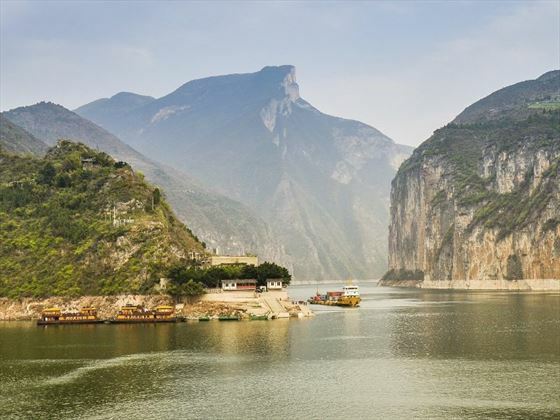 When you arrive you’ll transfer to your luxurious river ship and settle into the accommodation for your cruise on the Yangtze River. Today you’ll continue cruising, travelling down to the Three Gorges region where you’ll be to attend an optional lecture on the construction of the dam and then take a tour of the dam itself; the world’s largest engineering project. You’ll then continue cruising and enjoy a dinner and entertaining show by the crew. Today you’ll disembark at Badong where you’ll transfer by ferry to a traditional Chinese longboat, known as a sampan. You’ll continue to the stunning Wu Gorge. 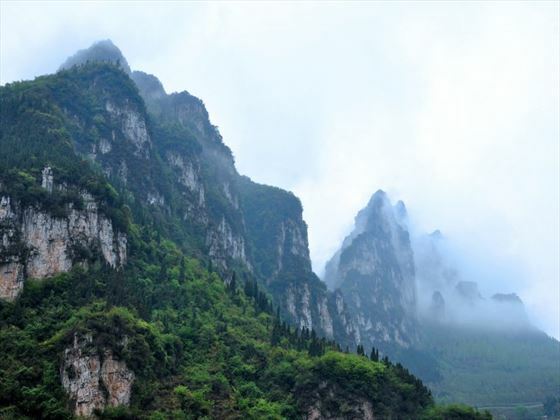 Later on your boat will pass between the Chijia Mountain and Baiyan Mountain and enter Qutang Gorge. 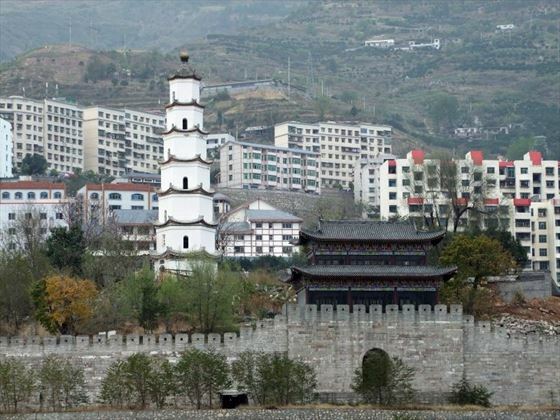 Wake up early today and experience a Tai Chi class before disembarking to tour the Ghost City of Fengdu. Alternatively, you can take a ‘relocation tour’ which teaches you about the impact the Three Gorges Dam had on those locals who had to be relocated. In the afternoon you can take in a Chinese brush painting and calligraphy demonstration, learn to play Mahjong, learn a few words of Mandarin or take a dumpling-making session. On day nine you’ll visit Chongqing Zoo which is home to a huge number of animals including the famous Giant Panda. You’ll then enjoy a traditional hot pot lunch at a restaurant followed by transferring to the airport for your flight to Xi’an. 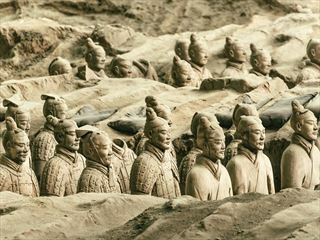 On your tenth day you’ll visit Xi’an’s city wall, which is one of the world’s largest ancient military defence systems. 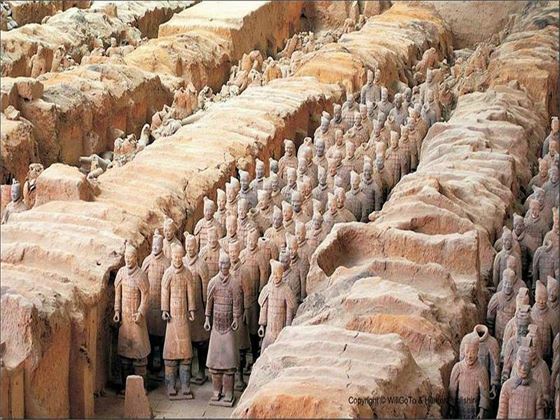 Later on you’ll get to see the Terracotta Army, a stunning collection of clay sculptures of the warriors and horses of Qin Shi Huang, the First Emperor of China. 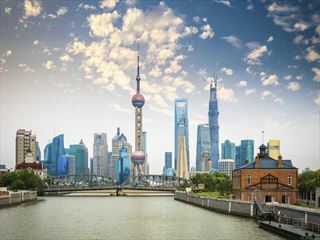 After a leisurely morning you’ll take a flight to Shanghai and catch the high-speed Maglev train into the city centre. In the evening you’ll have a choice of three restaurants to dine at. Today is a free day to explore Shanghai. You can take a cruise on the Huangpu River, take a walking tour of the former French Concession or take a Shanghai cooking class to learn about different types of food in this region. Later you can enjoy premium seating at an acrobatic show. 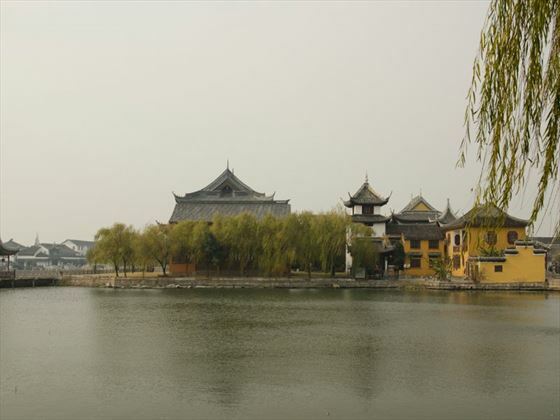 On your final full day in China you’ll visit Jinxi, a sleepy little town connected by five lakes. You’ll then return to Shanghai and enjoy some free time before your farewell dinner.